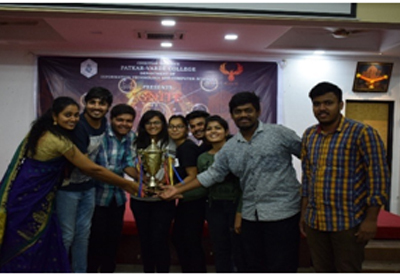 On December 20, 2018, the Departments of IT and CS jointly organised the inter-collegiate event, “Ignite - Ideas, Information, Innovation”. The event aims to encourage Students to use their knowledge innovatively, and this year’s theme was ‘GAMIXTAAN’. On December 20, 2018, the main event was preceded by technical games such as Tease Your Vision, Wheelof Fortune, and Blur. Campus games like 1v1 Football, Rush to the Play Zone, Deadlock, Switch-Open Mic, Tic Tac Toe, and Carrom were played by participants after the seminar. 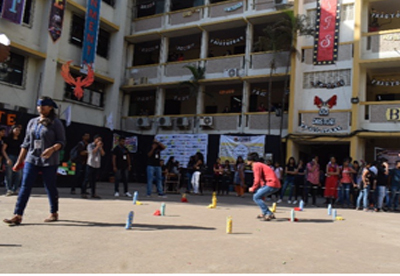 There was also a flash mob, themed ‘GAMIXTAAN’, which was enjoyed by the participants. 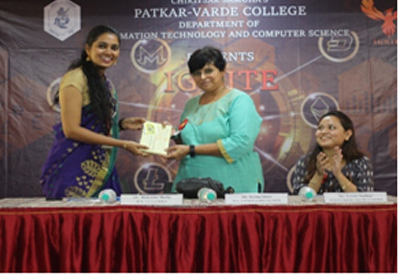 The resource persons for the seminar were Dr. Seema Shah and Ms. Leena Nadkar. 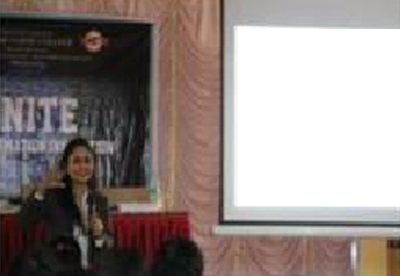 The topic 'Delving into BlockChain’, gave participants information about the various ways in which the digital currency, bitcoin etc has evolved.She also spoke about topics like the importance and usage of BlockChain,followed by the steps for linking the previous block by using the concept of cryptography. The seminar was followed by an interactive session. An Intercollegiate Technical Fest 'IGNITE- Ideas, Information, and Innovation’ organized on the 5th February, 2018.The event is all about igniting ideas and information towards innovation with the theme 'Era of I.T.' The Pre Event was held on 3rd February which comprised of interesting LAN games such as 'Counter-Strike GO', 'Geek' , FIFA 18.Main Event was preceded by technical games like Hangman, Flip Match Make, Blur, Clic Pic, and Mock CID, along with cultural games like Mad Ads, WannaPanna, Walk with the Blind, Stand-up Comedy,Snakes and Ladder and Tic Tac Toe, FIFA 18 were played on the event day as well.Ms.Chaitali Pathak was invited to deliver the seminar on 'Exploring the World of IOT', the speaker enlightened the audience about the various effective ways in which the IOT is flourishing. The Rolling Trophy winner was Bhavans College, Mumbai.